Objective : The two years Distance Learning Master of Arts (M.A) Degree in English conducted by The Global Open University, Nagaland has been designed for meeting the demand of the growing needs of experts in the fields of English Language and Literature. Award : Master of Arts (M.A) Degree in English shall be awarded to all the successful candidates by The Global Open University, Nagaland. 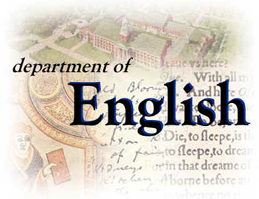 English is a West Germanic language that arose in the Anglo-Saxon Kingdoms of England and spread into what was to become South-East Scotland under the influence of the Anglican medieval kingdom of Northumbria. Following the economic, political, military, scientific, cultural and colonial influence of Great Britain and the United Kingdom from the 18th Century, via the British Empire, and of the United States since the mid-20th century, it has been widely dispersed around the world become the leading language of international discourse, and has acquired use as lingua franca in many regions.